Since 1991, youth from shelters, various inner city neighborhoods, and housing projects around Houston have been offered a better chance to discover their full potential through the programs offered by Hope for Youth. These programs are designed to open the doors of hope to youth in need of the compassionate leadership so necessary to foster spiritual, academic, and social growth. 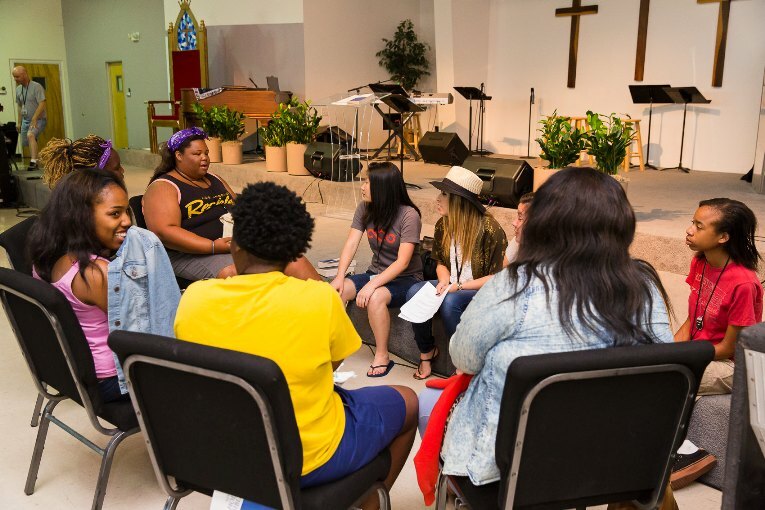 To facilitate that growth, we offer programming in four broad categories; Large Group Outreach, Small Group Discipleship, Camps and Retreats, and Summer Programs. Our version of vacation bible school, JNTH is a week-long outreach program where we encourage current Hope for Youth students to bring their friends and siblings to introduce them to the ministry. The program is high-energy and packed with nonstop fun, fellowship, and food. Each night is highlighted by Christian music, a message and small group discussion. It is our most attended program and is a favorite for youth and volunteers!